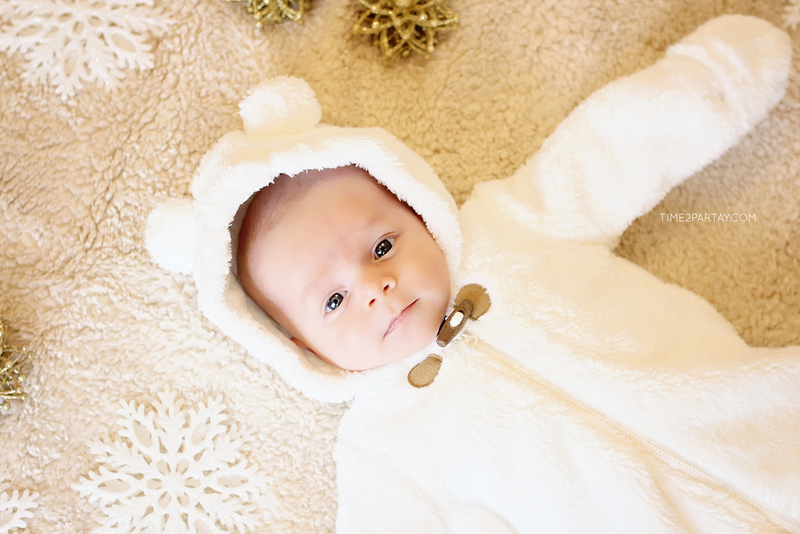 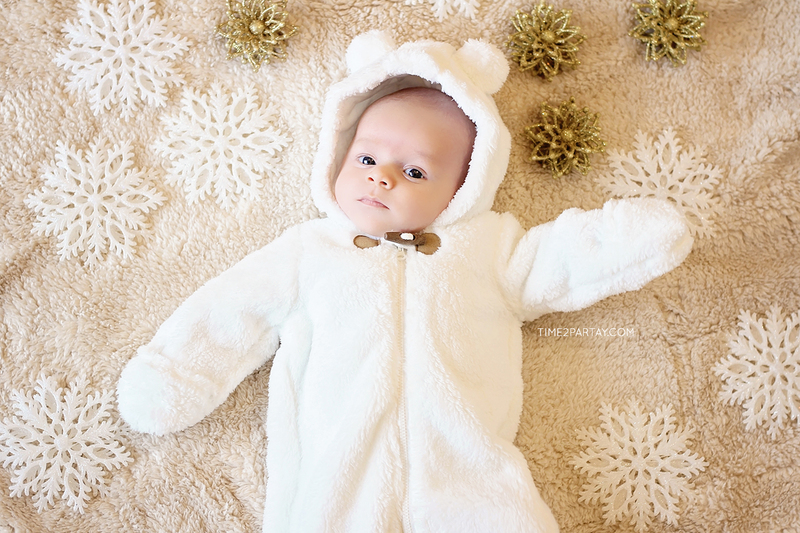 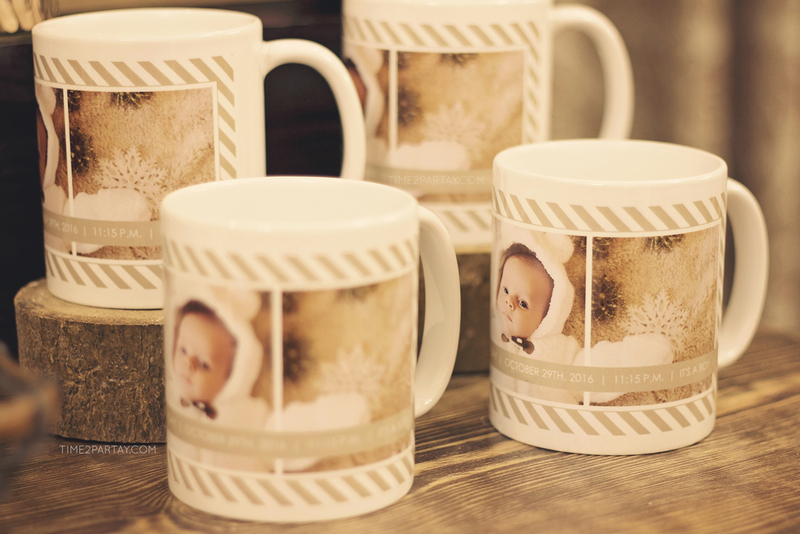 There’s no better way to warm up a winter day than by celebrating the arrival of a baby with family, friends, and hot cocoa! 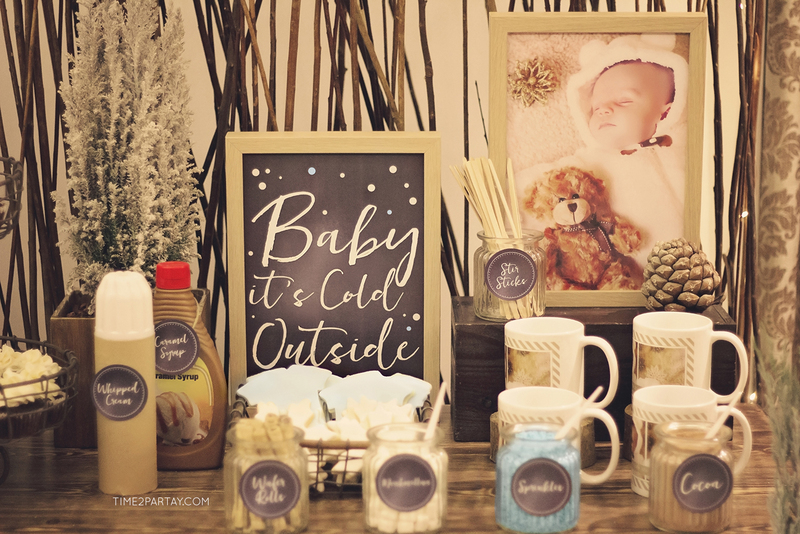 This welcome baby party was for our sweet friends and their adorable bundle of joy who deserve a hot cocoa bar set up in their home every day. 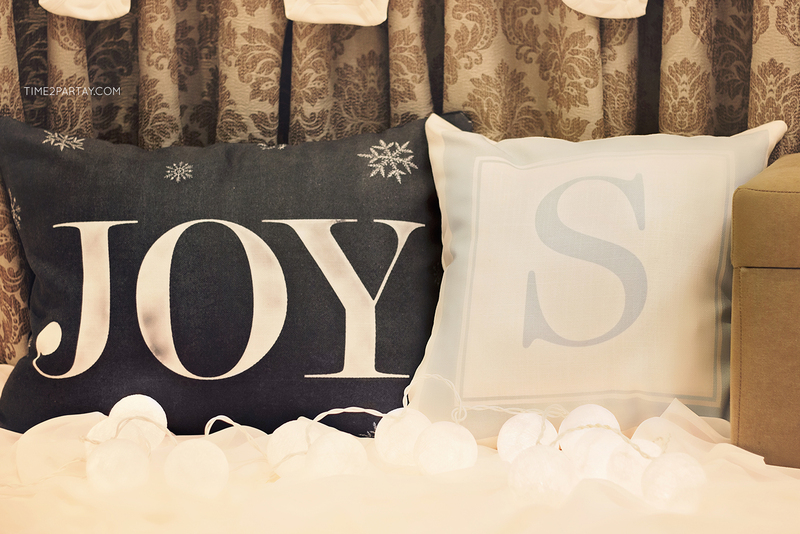 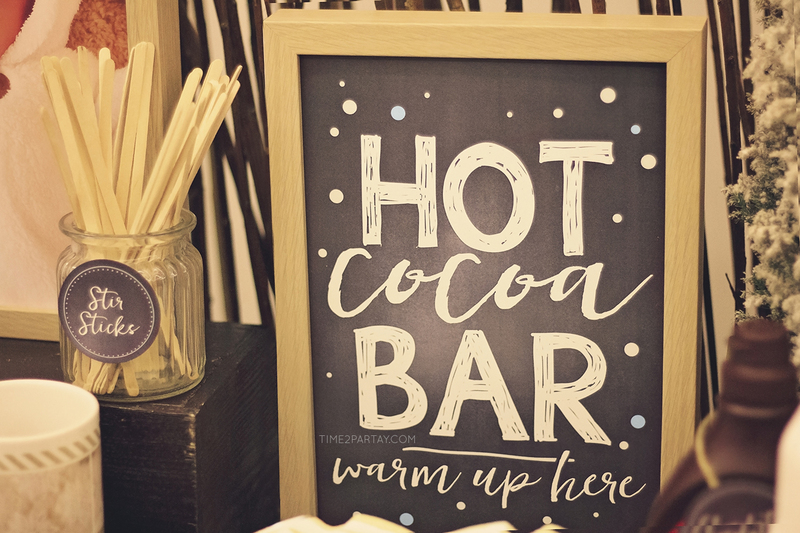 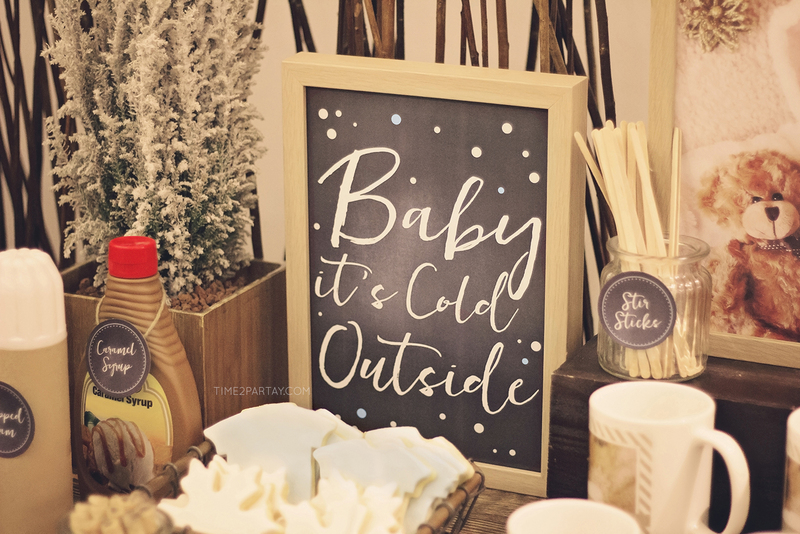 We brought the winter season (minus the cold) indoors by decorating a hot cocoa bar, photo booth, and guest table using cozy rustic details, ornaments, faux snow, throw pillows and snow much more! 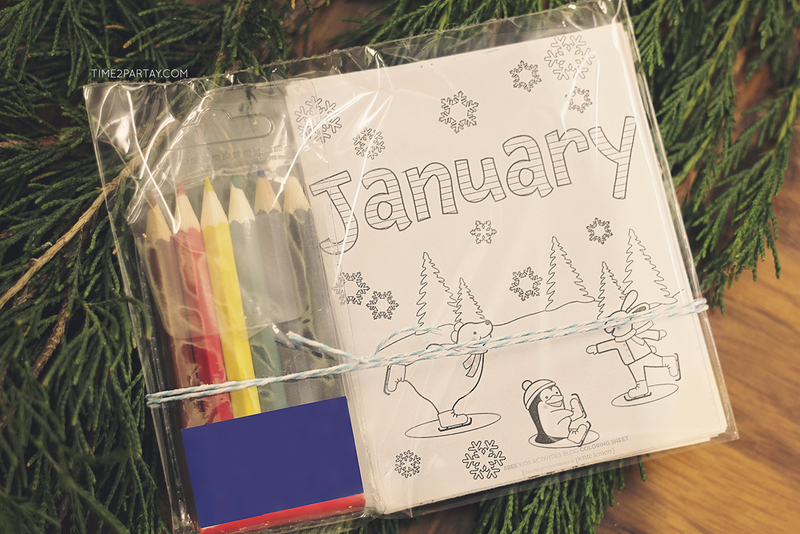 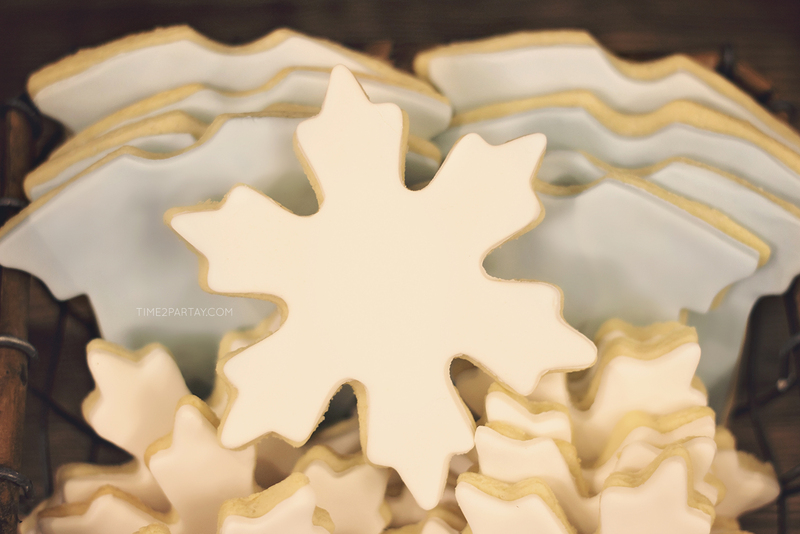 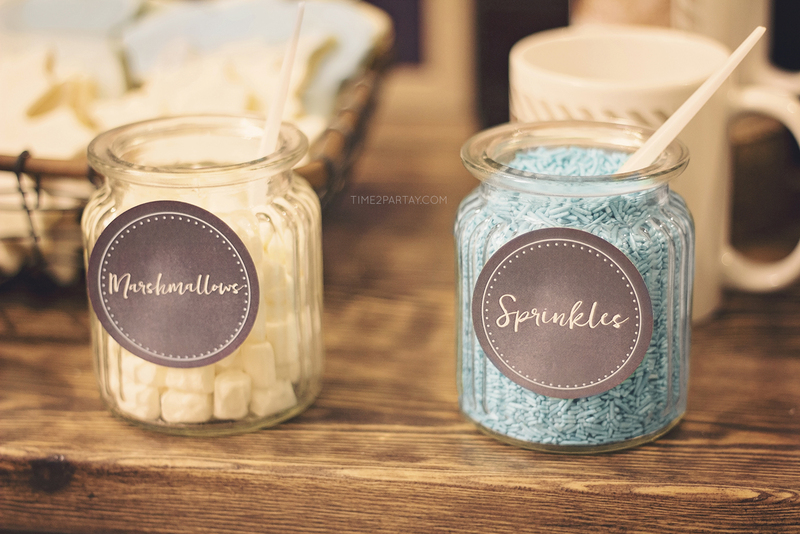 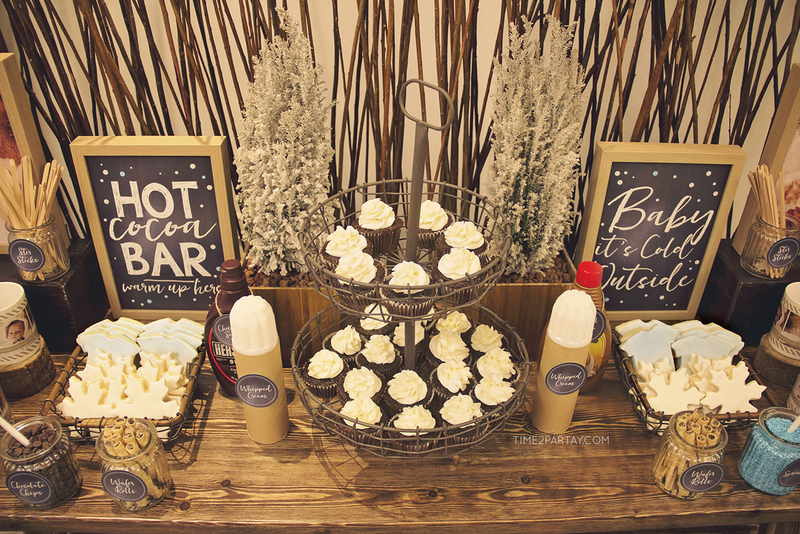 The colors of the party were neutral colors with a touch of baby blue and gold. 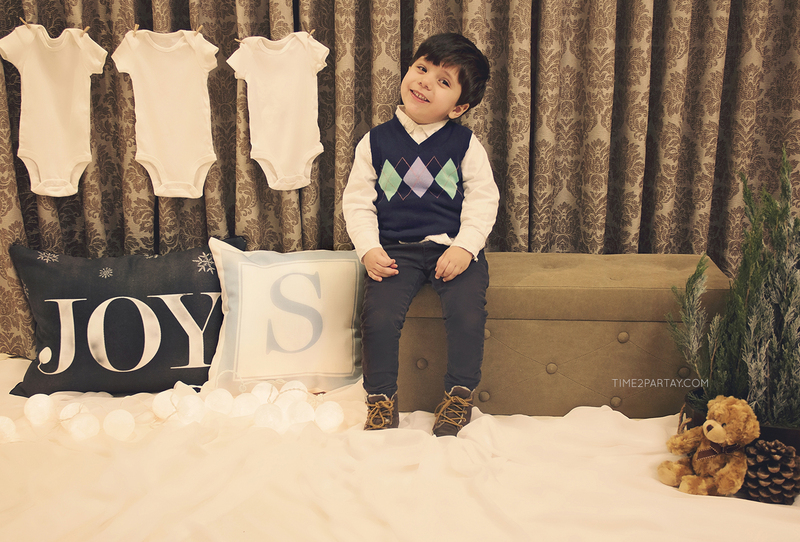 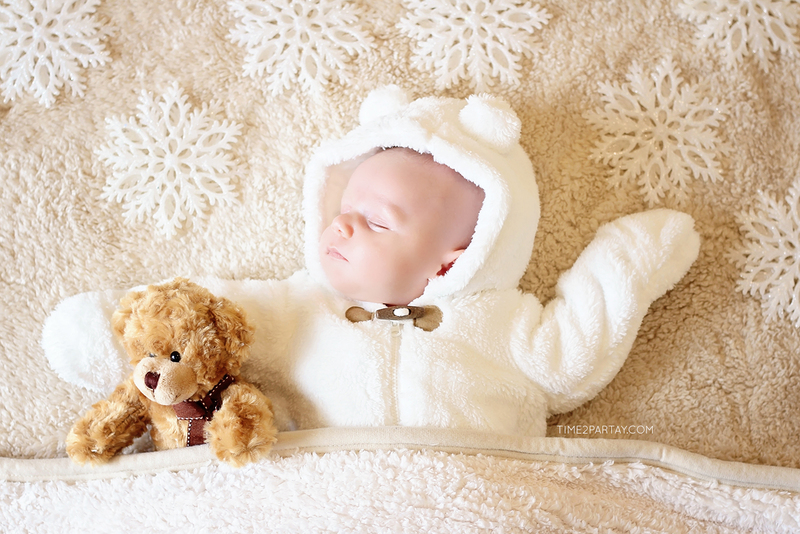 Baby Shaheen wore a hooded bunting during his first photo shoot that we held before the party and he loved all the attention! 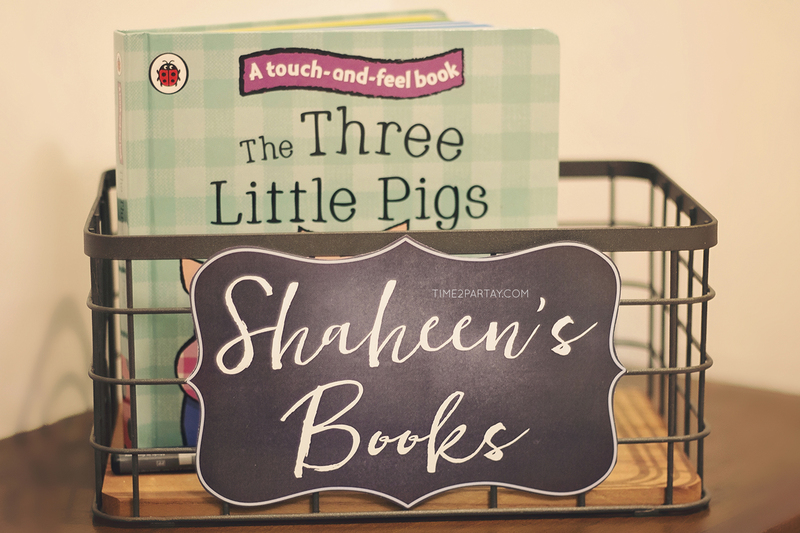 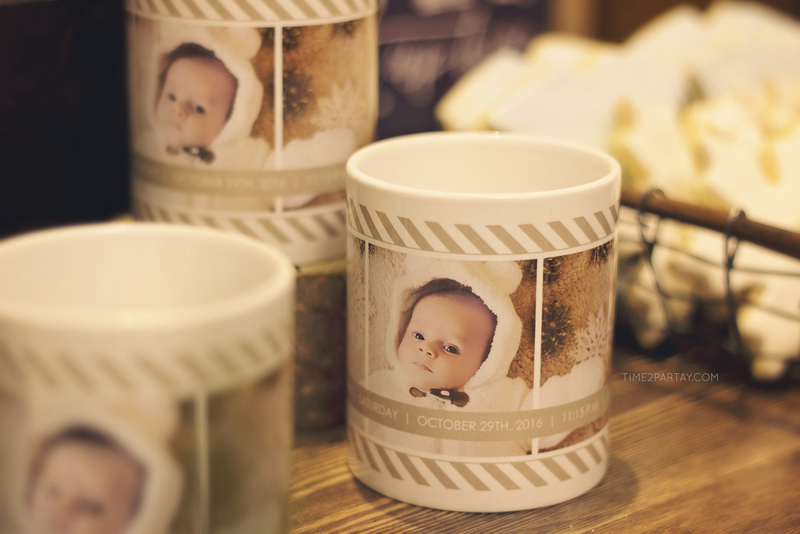 We ordered a baby announcement from Tiny Prints as the invitation and it matched our theme perfectly. We changed the wording to make it into an invitation and added a picture from the photo shoot. 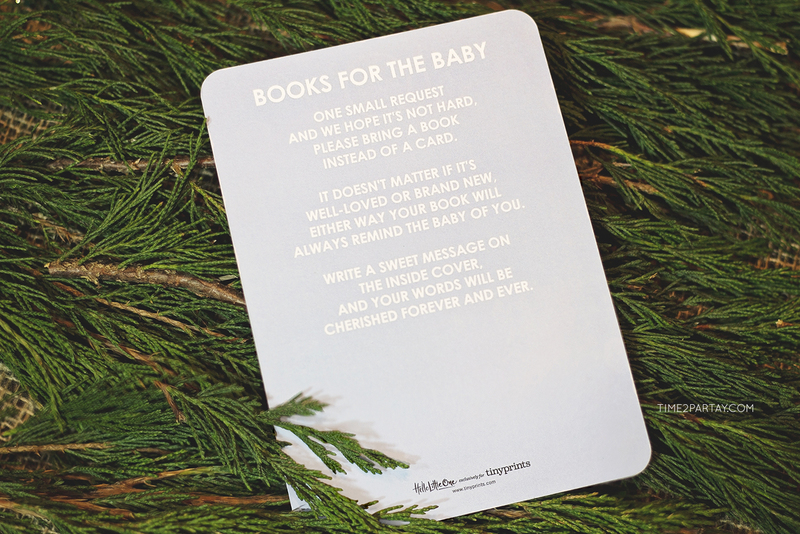 On the back was a small request from the baby’s parents to their guests to bring a book for the baby instead of a card. 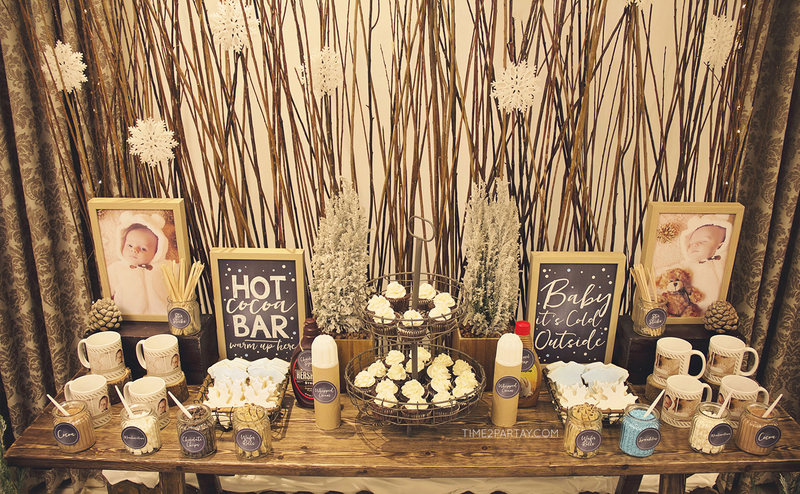 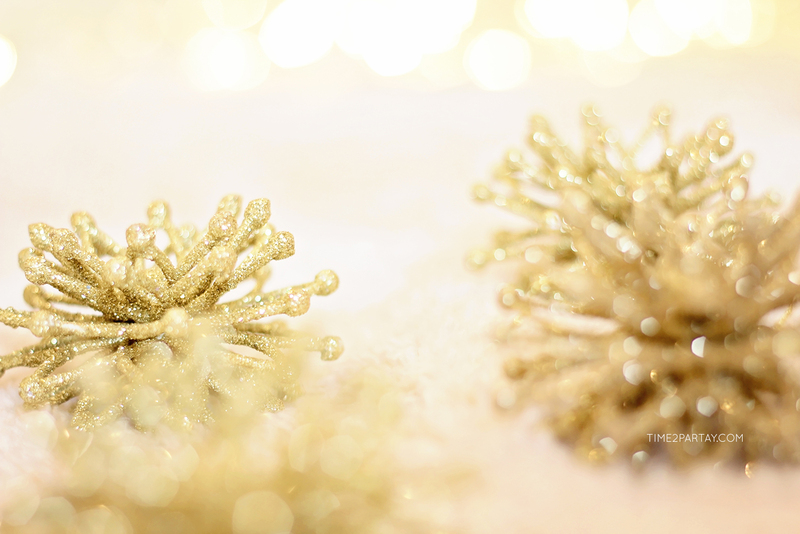 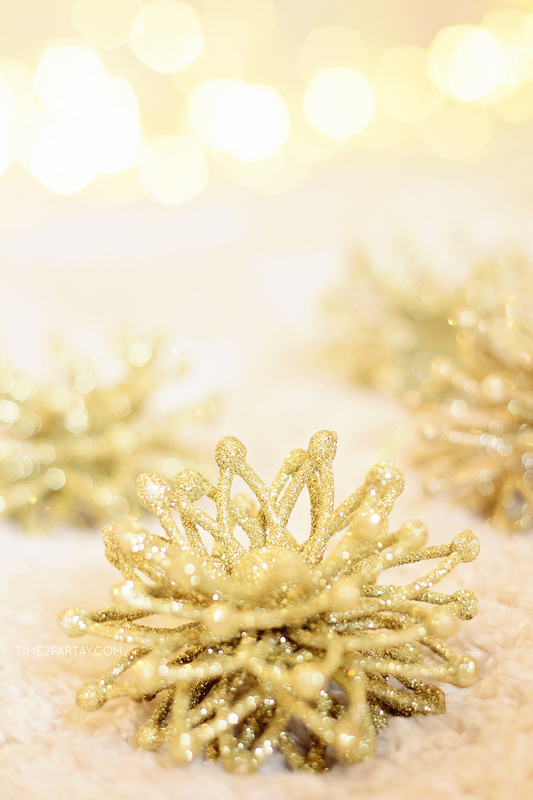 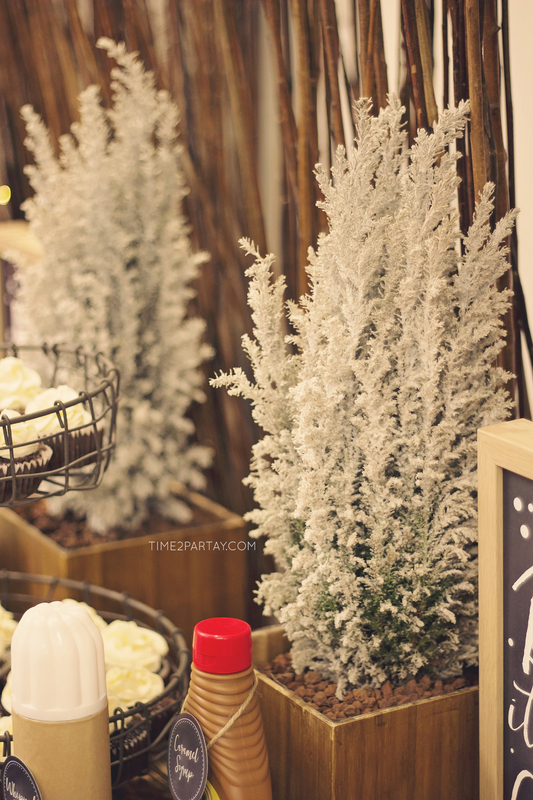 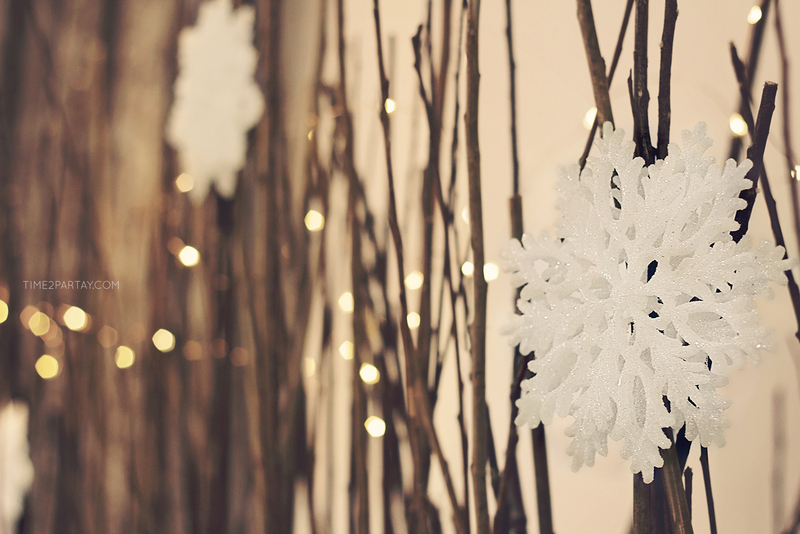 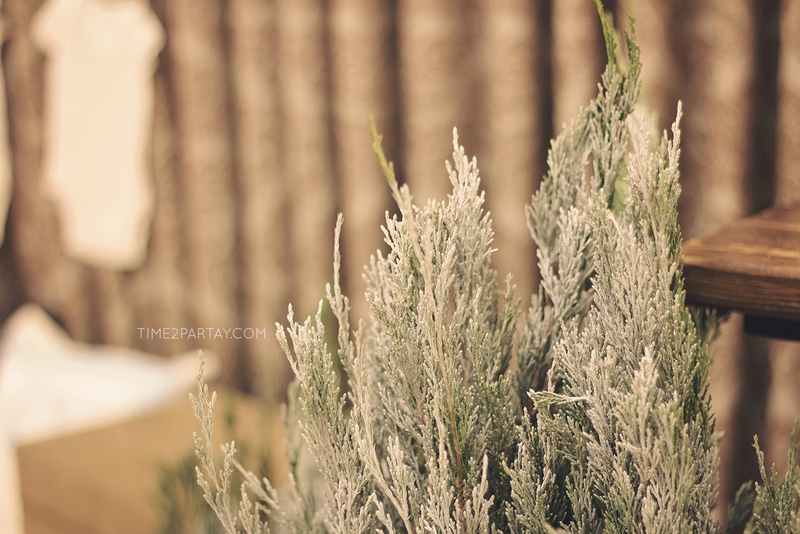 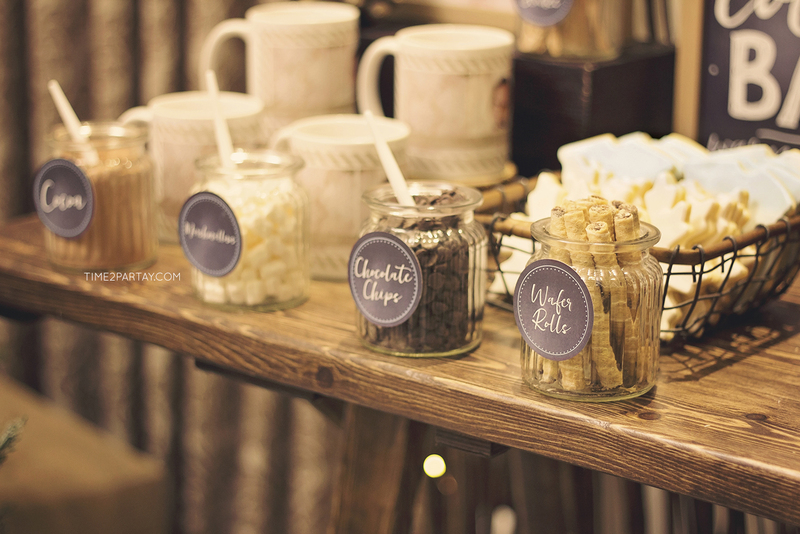 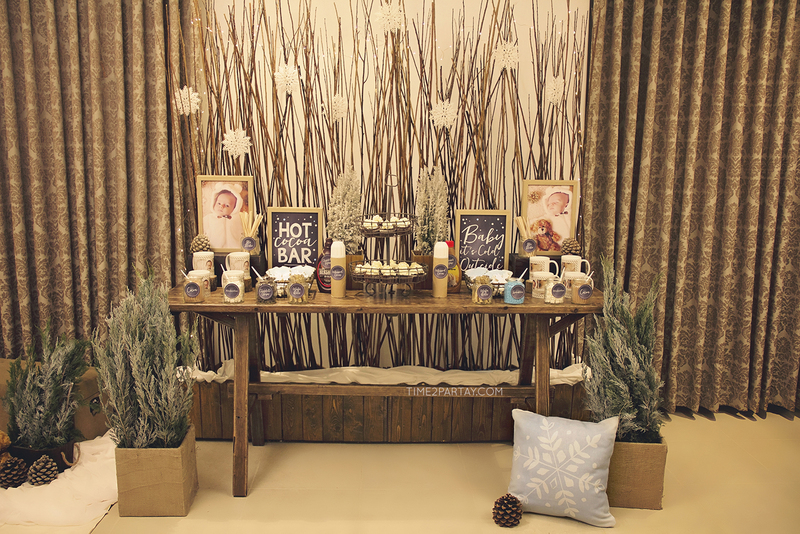 For the hot cocoa bar backdrop, we used wooden branches with sparkly white snowflakes and lights. 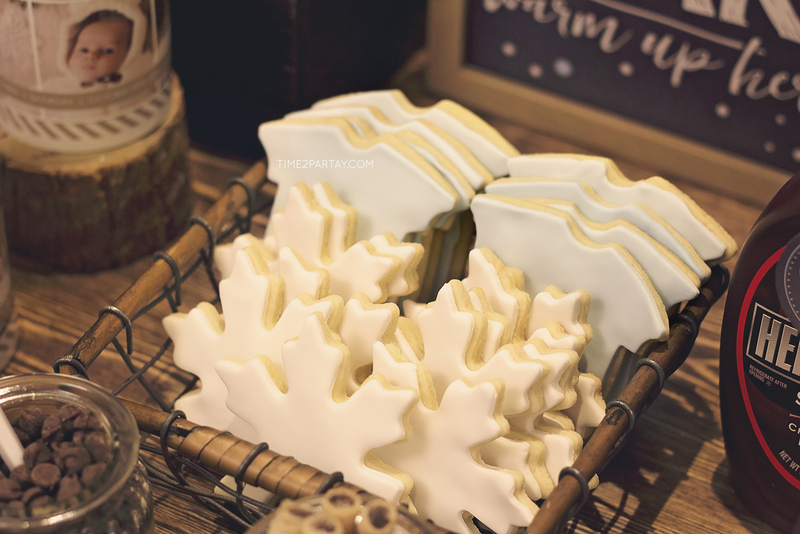 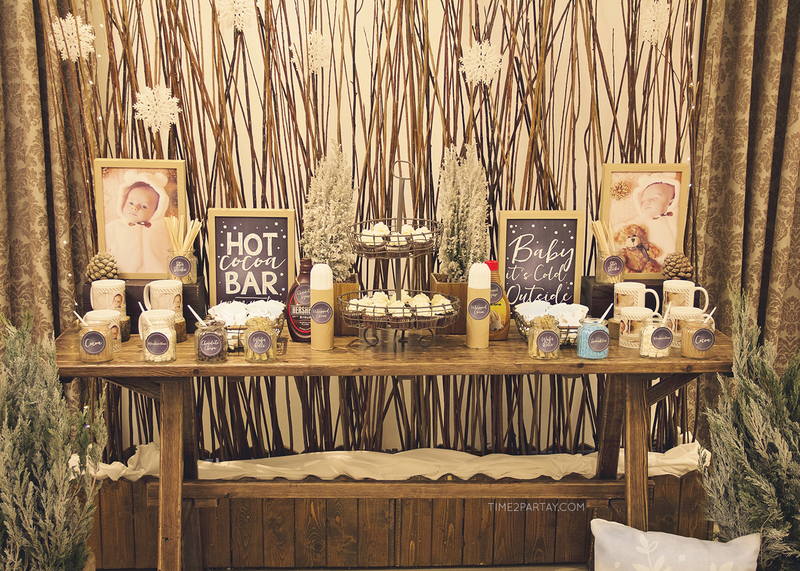 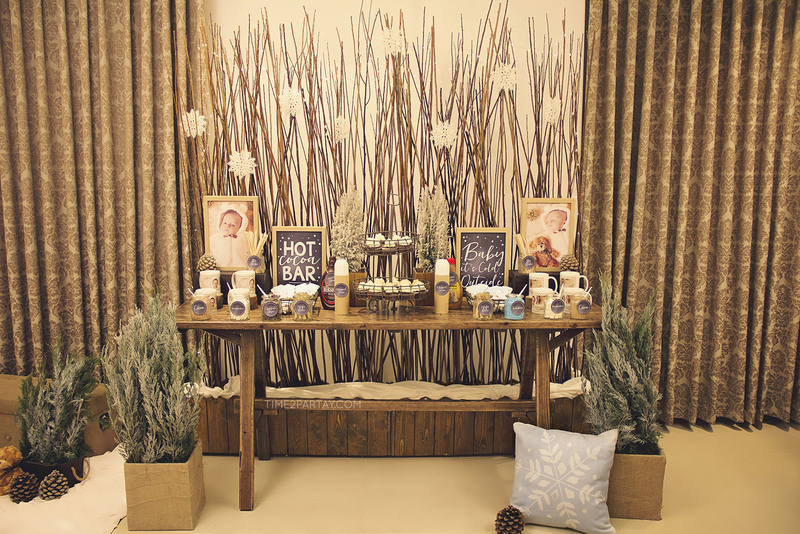 The decor on the rustic wooden table were faux snow covered plants, two frames with pictures of the baby from the photo shoot, framed “hot cocoa bar” and “baby it’s cold outside” signs, a rustic tiered cupcake stand, pine cones, and wooden steps. 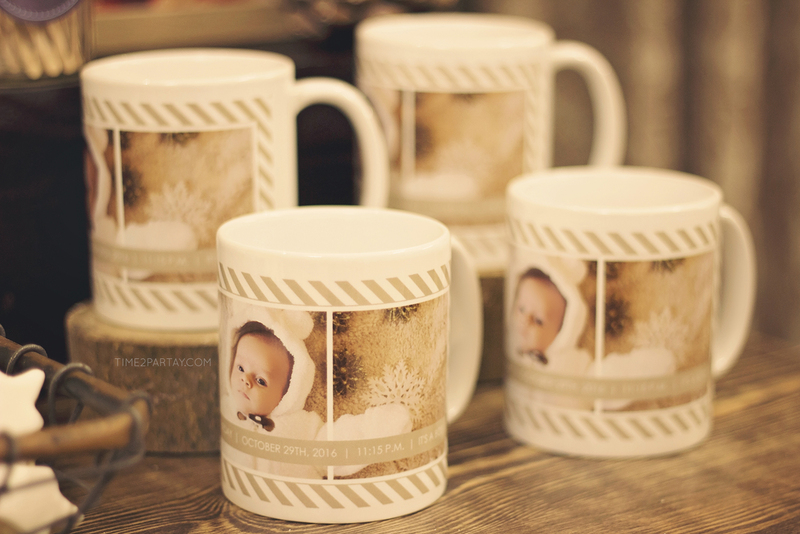 The guests loved the personalized mugs that they used to drink hot cocoa and took home as favors. 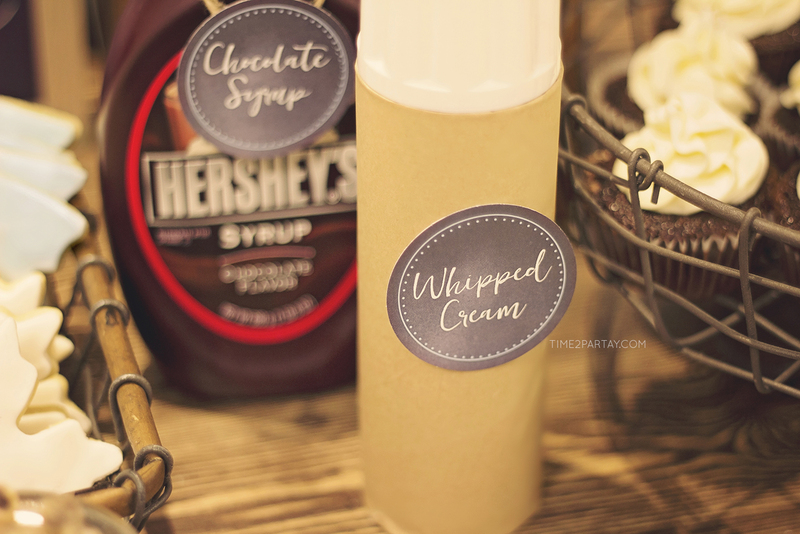 The hot cocoa toppings were mini marshmallows, wafer rolls, chocolate chips, sprinkles, whipped cream, caramel syrup, and chocolate syrup. 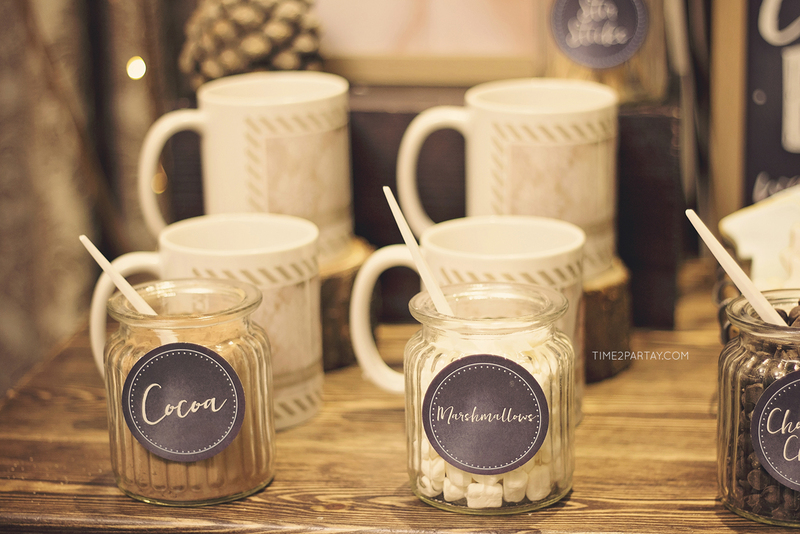 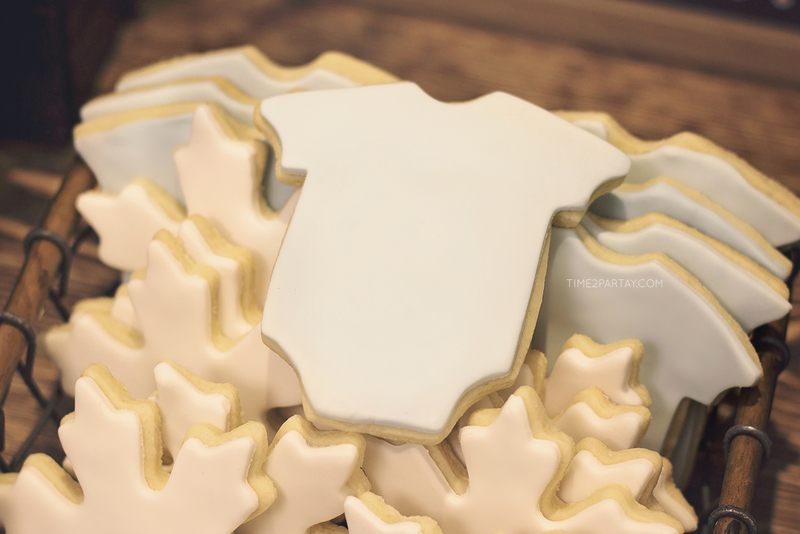 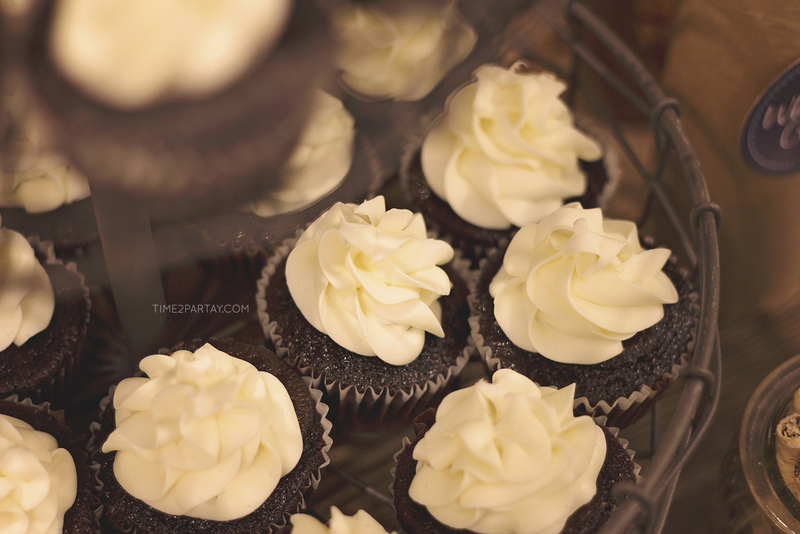 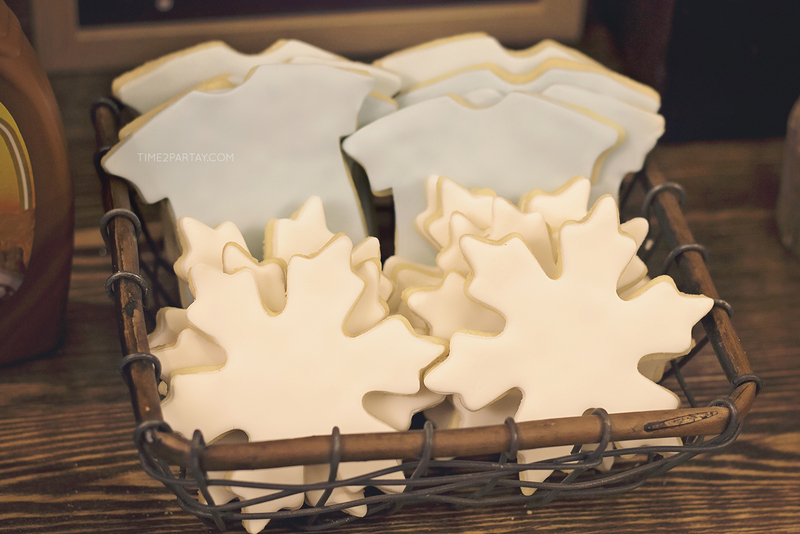 You really can’t enjoy a cup of hot cocoa without a sweet homemade cupcake or sugar cookie! 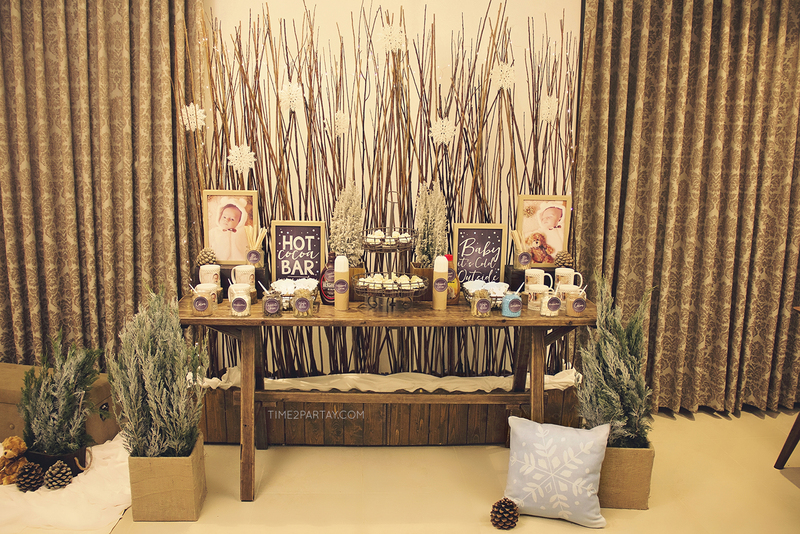 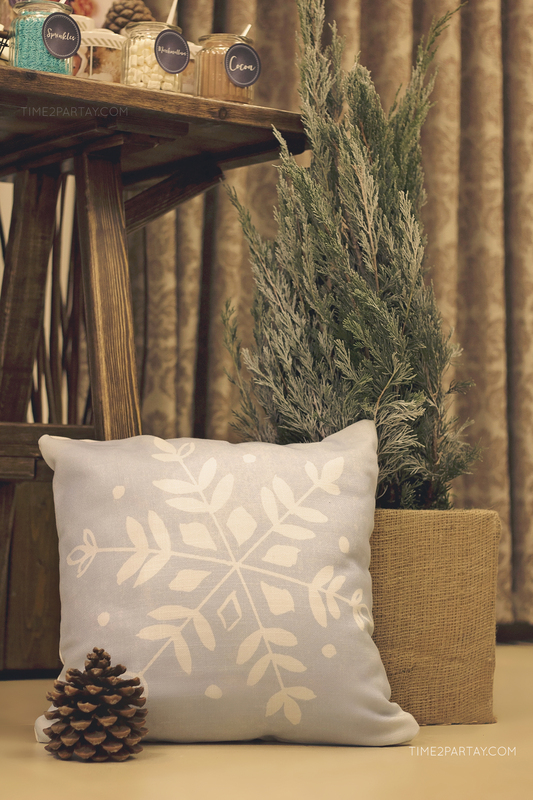 We added a throw pillow, pinecone, and burlap pots filled with green tree branches in front of the table. 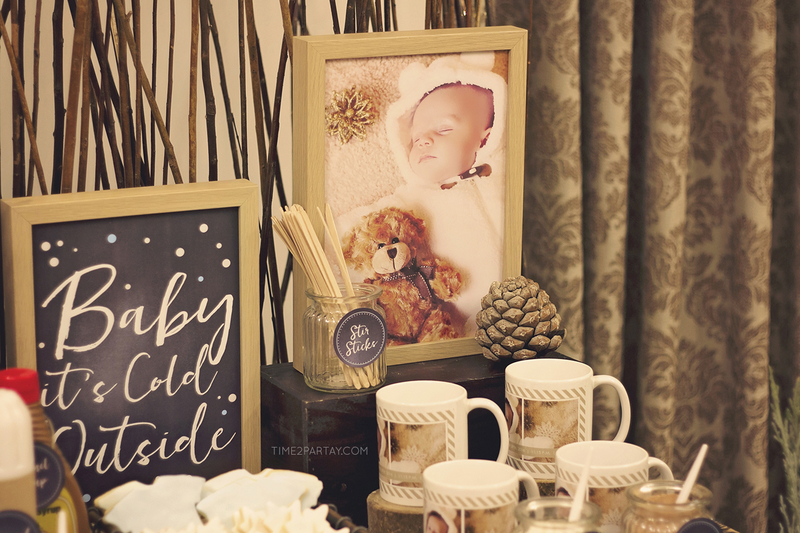 The guests loved taking pictures by the photo booth section. 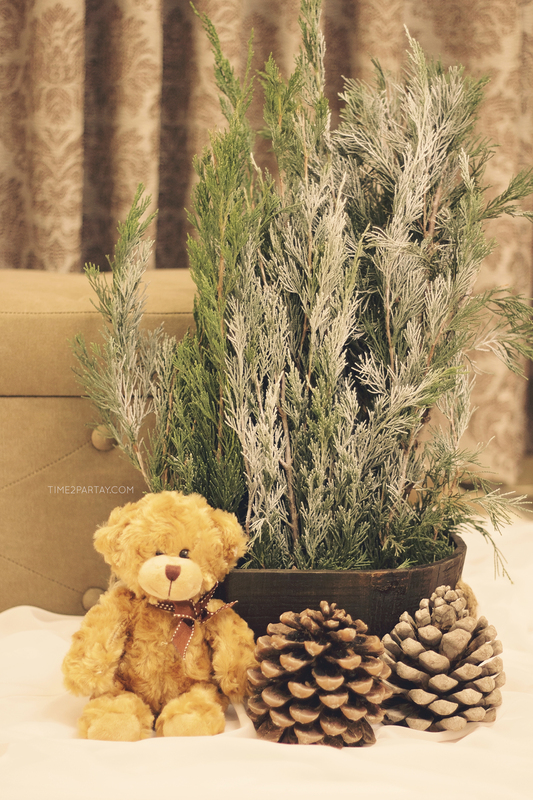 We decorated it using winter inspired throw pillows, a plant, chest to sit on, onesies, string lights, and a cute teddy bear. 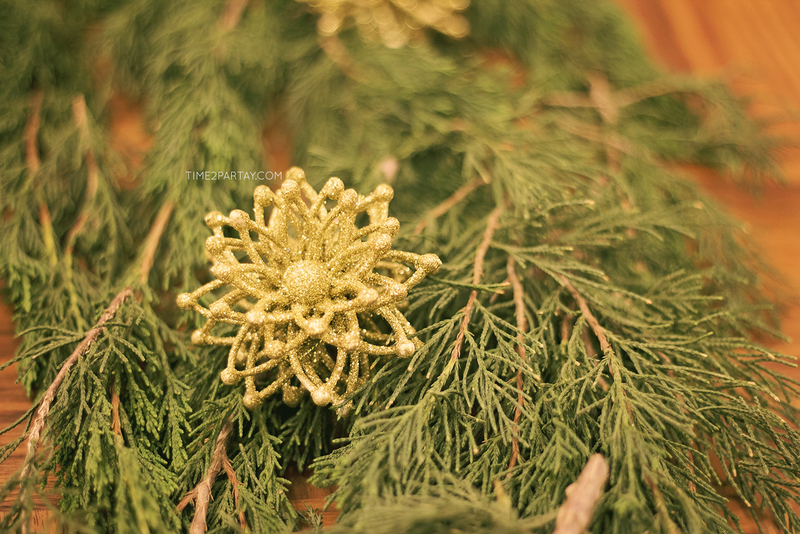 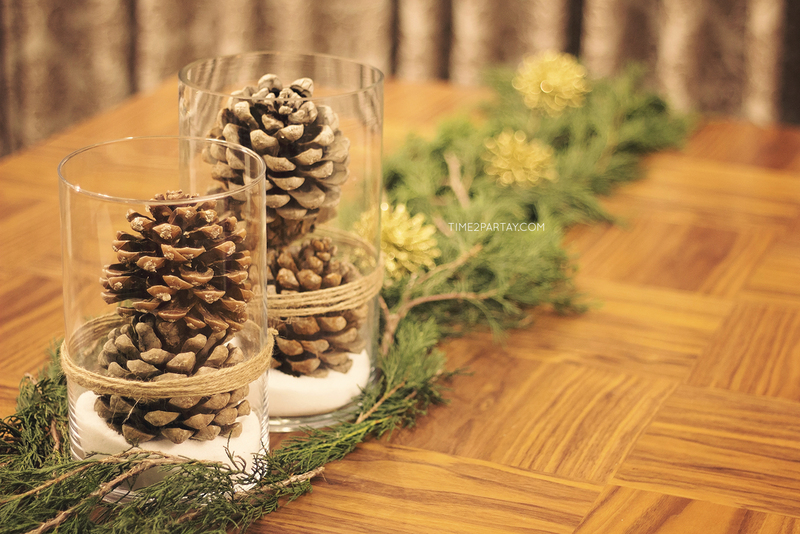 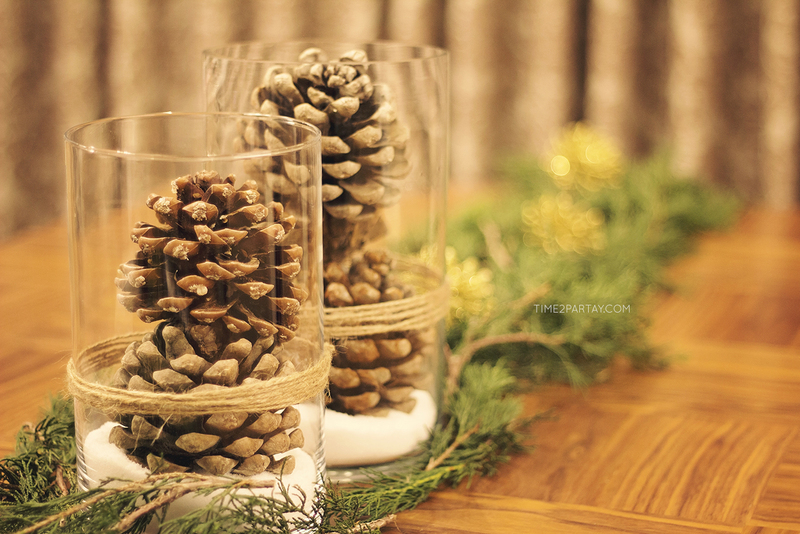 The dining table was decorated by adding tree trimmings as a runner, gold sparkly ornaments, and centerpiece vases filled with pine cones and faux snow. 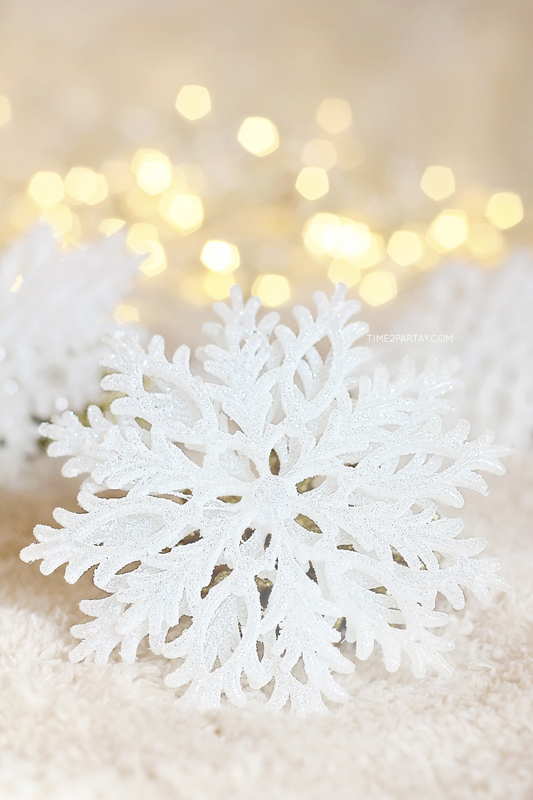 Thank You, You, & You!